Residents have already moved into M9-3, DevMcGill’s Old Montreal development, and all remaining condos in this phase of the project are ready for immediate occupation. 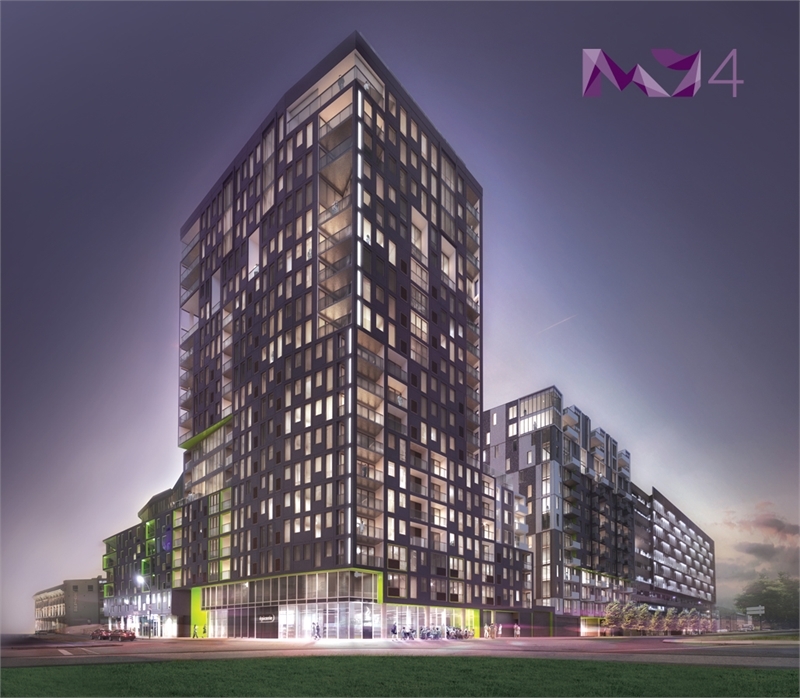 But you’ll have to act fast if you want to snap up a space in the last phase of the condo, M9-4. With 80 per cent of the suites already sold and construction progressing, the popular project only has a few spots left! Residents of M9-4 and M9-3 will enjoy amenities on the top floors of the structures. Relax and enjoy panoramic views of the city in the SkyLounge, which also comes with a fully equipped kitchen for all your entertaining needs. The SkyTerrasse is equipped with a rooftop pool, hot tub and lounge areas, as well as a gym stocked with the latest exercise equipment. It’s the perfect blend of contemporary style in the most historic corner of Montreal. Situated at 888 Rue Wellington, the neighbourhood is considered a “walker’s paradise” according to walkscore.com. That means whatever you need – be it a cafe, grocery store, or boutique – is within strolling distance. There are also big plans to turn the area into a much more pedestrian-friendly zone. The nearby Bonaventure Expressway is coming down to make way for parks and an urban boulevard, revitalizing the neighbourhood. 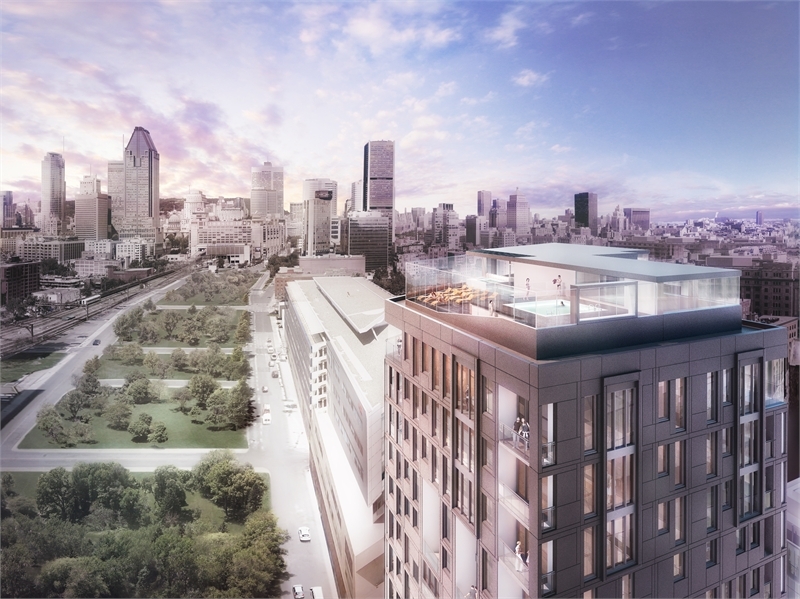 Located at the gateway to downtown Montreal, the M9 project will have a front row seat to this dynamic part of the city. Suites at M9-4 start from $169,900. For more information contact 514 400 4565 or m9@devmcgill.com.